In preparation for the ASEAN integration, the textile industry of the Philippines is exerting great efforts to promote native fibers such as abaca and pińa. 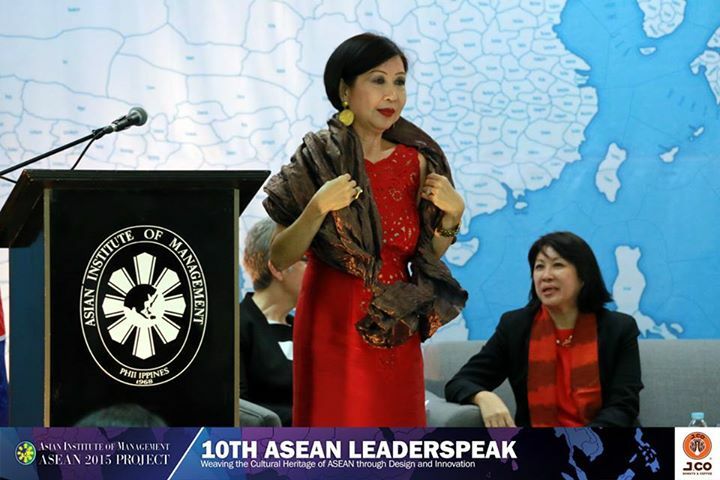 On its installment for this academic year, the ASEAN Leaderspeak series featured two highly respected industry leaders from the textile and apparel industry. While opportunities await forward-looking businesses, experts spelled out issues and outline ways to prime up the sector's readiness in response to the ASEAN Economic Community by end of December 2015. Ms. Celia Elumba, Director IV of the Department of Science and Technology-Philippine Textile Research Institute (DOST-PTRI), started by recognizing the importance of the industry not only in terms of economic significance but also in terms of socio-cultural value. Previously branded as the sunset industry, the textile and apparel sector is nonetheless regaining momentum in conjunction with the ASEAN integration efforts. Dir. Elumba shared public sector-led projects and practices that are aligned with regional integration initiatives such as industrial and skills upgrading from the production of fiber to the delivery of export-quality textile and apparel goods. Engineering production technologies and ensuring technical skills required by facilities are met were major projects instituted by DOST-PTRI. These efforts, in partnership with other institutions, intend to make businesses more capable of participating in global supply chains. The textile apparel supply chain encompasses fibers, fabrics, garments, machinery, design and logistics. As the ASEAN Economic Community (AEC) envisions a single production base, businesses enjoy the benefits of economies of scale from product and service complementation across the region. 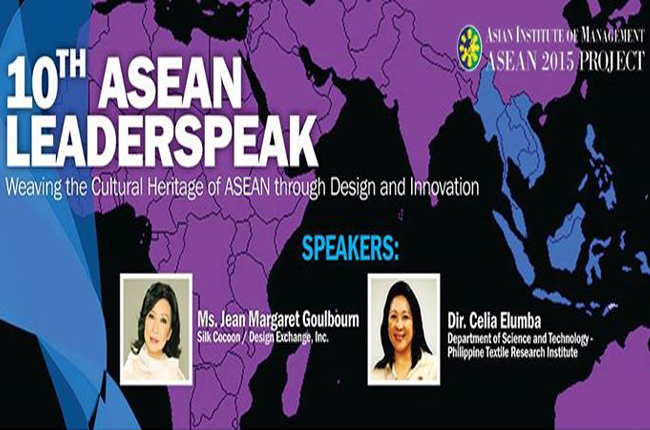 Ms. Jean Margaret Golbourn, President of Silk Cocoon and Design Exchange, Inc., meanwhile, talked about the potential industry pitfalls from a private-sector point of view. Deep-lying political and governance issues such as corruption and red tape at the borders could prevent participation in supply chains across the region. Ms. Golbourn also calls for a more aggressive stance in critically identifying, tapping, and sustaining opportunities before they lapse as was the case in the past. As the region, especially in the Philippines, boasts of abundance of native natural fibers such as abaca, pińa, silk and fiber, Ms. Golbourn hopes to heighten industry competitiveness by transforming roadmaps towards more action-oriented policies.